Suffering with chronic pain, fatigue and depression why not consider acupuncture? The goal of acupuncture therapy is to promote health and alleviate pain and suffering. The method by which this is accomplished, though it may seem strange and mysterious to many, has been time tested over thousands of years and continues to be validated in scientific studies today. The acupuncture therapy I provide at the Pain and Brain Healing Center is extremely unique for multiple reasons. First and foremost, I was personally trained by a Japanese master acupuncturist here in the United States, Dr. Yoshiji Karasawa nearly 30 years ago. Since then I’ve been perfecting these specialized techniques in the treatment of pain and illness. One specialized technique is the utilization of mild microcurrent stimulation of the acupuncture needles. Japanese acupuncture varies from Chinese acupuncture in many ways. One big difference is that Japanese acupuncture is virtually painless; many times patients are you unaware that I have completed the insertion of the acupuncture points. This is accomplished by the fact that the Japanese do not utilize the thick Chinese acupuncture needles. Japanese acupuncture utilizes an extremely fine flexible hair-like wire “needle” inserted with a guide tube. Another reason why acupuncture therapy at the Pain and Brain Healing Center is so unique is the specialized supportive care utilized with the acupuncture therapy. The techniques that I utilized in my acupuncture therapy are effective at getting rid of the pain, fatigue, brain fog, anxiety and insomnia. However, unless the underlying metabolic and nutritional needs of the tissues are corrected along with the utilization of spinal manipulative therapy all these symptoms will generally return. I utilize acupuncture and spinal manipulative therapy to quickly get my patients out of pain and stimulate repair and supportive nutritional and metabolic therapy to assist in making these changes permanent so symptoms do not return. Suffering from chronic back pain, neck pain and headaches, migraines, fibromyalgia or anxiety and depression; why continue to suffer when acupuncture, spinal manipulative therapy and supportive nutritional metabolic therapy can bring you relief. Are you curious? Then give me a call for a free consultation at 763-862-7100 to discuss your health issues and the role acupuncture can play in your recovery. Acupuncture is a method of healing that encourages the body to repair naturally and improve function. This is done by inserting needles and applying heat or electrical stimulation at very precise acupuncture points. The classical Chinese explanation is that channels of energy run in regular patterns throughout the body. These energy channels, called meridians, are like rivers flowing through the body to irrigate and nourish the tissues. A blockage of energy in one of these energy rivers acts like a dam that builds up excess energy upstream and deficiency of energy downstream of the dam. The energy in the meridians can be influenced by needling the acupuncture points. The acupuncture needles unblock the obstructions at the dams, and reestablish the regular flow through the meridians. Acupuncture treatments can therefore help the body's internal organs by correcting imbalances and improving function. The modern scientific explanation is that manipulating the acupuncture points stimulates the nervous system for the release chemicals in the muscles, spinal cord, and brain. These chemicals will reduce the painful tissues and they will trigger the release of other chemicals and hormones which influence the body's own internal regulating system. The improved energy and biochemical balance produced by acupuncture results in stimulating the body's natural healing abilities, and in promoting physical and emotional well-being. We have found that meridian therapy can be helpful in chronic pain, fibromyalgia, dizziness, insomnia, fatigue,digestive and thyroid conditions . We have helped many people in the throughout Minnesota, please see our website for testimonials. The number of treatments needed differs from person to person. For complex or long-standing conditions, one or two treatments a week for several months may be recommended. For less complicated acute problems, usually fewer visits are required, for a shorter period of time. People experience acupuncture needling differently. Most patients feel no pain as the fine wires are inserted; some feel minor discomfort for a moment. Once the needles are in place, there is no pain felt. 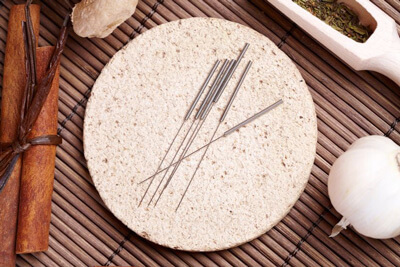 Japanese acupuncture needles are extremely thin and flexible like human hair, they are made from stainless steel. The point is smooth (not hollow with cutting edges like a hypodermic needle) and insertion through the skin is not as painful as injections or blood sampling. There is no risk of infection from the treatments because the acupuncture wires or needles are used only once and then discarded. Are there any do's and don't's for me on the day of treatment? Dr. Greg Fors completed his studies in acupuncture from the Occidental Institute of Chinese studies in 1982, and successfully passed the NCCA examination in 1986 to receive his diplomate in acupuncture. In 2003 and successfully passed his NBCE exam for certification in acupuncture.